Happy Winter Solstice! 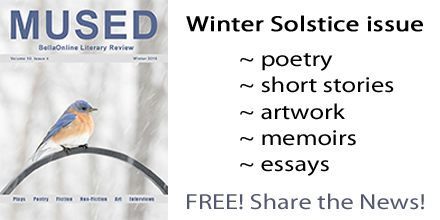 The FREE 2016 winter issue of Mused is now live! It features short stories, poetry, photography, painting, essays, and more! Share the news!